The Vapour-Rise Guide Jacket is a winter-weight softshell jacket, designed to offer ultimate weather protection and breathability, with its high wicking and quick drying performance. 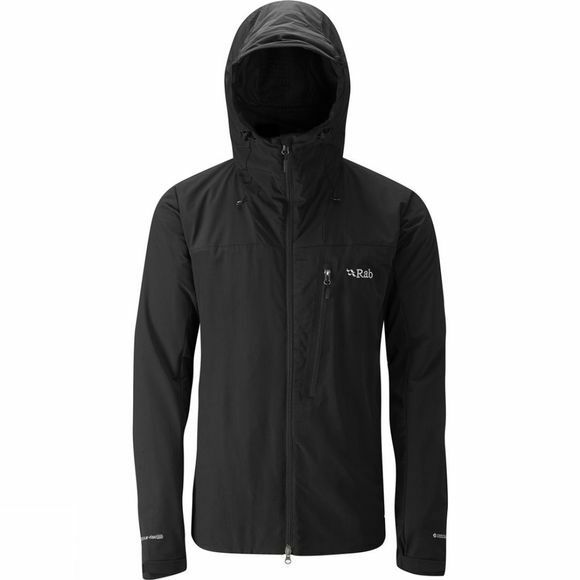 It uses a durable Pertex Equilibrium outer fabric and light-weight Matrix stretch panels to produce a versatile, winter-weight piece. The Polartec Alpha insulation ensures you remain nice and toasty when out in the cold.